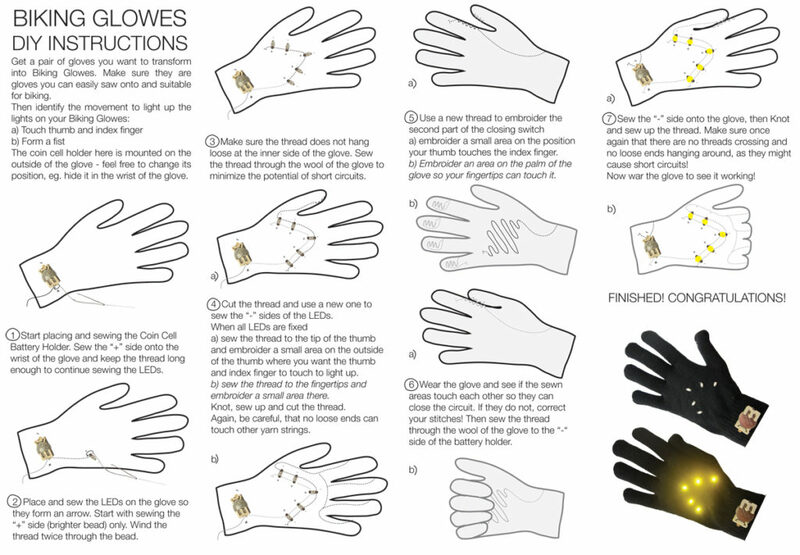 DIY instructions to make Biking Glowes. 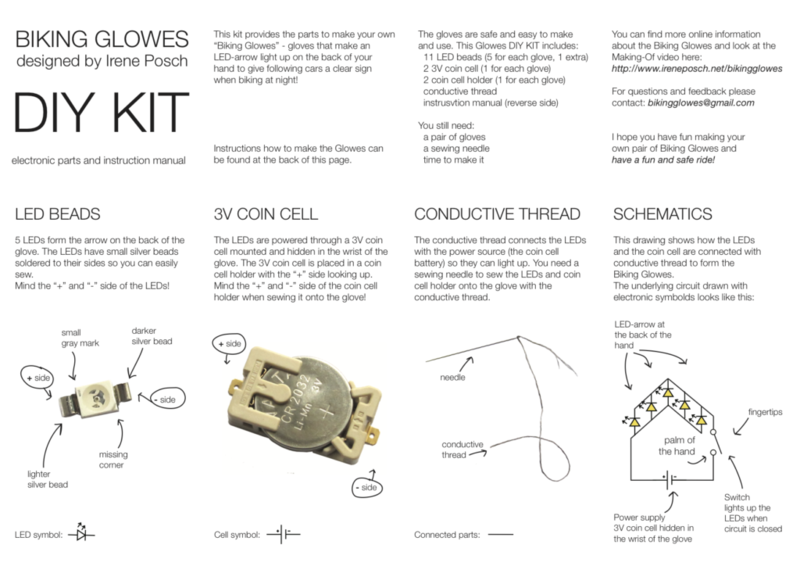 The instructions are targeted at a DIY KIT, but the individual parts can also be assembled/made from scratch. 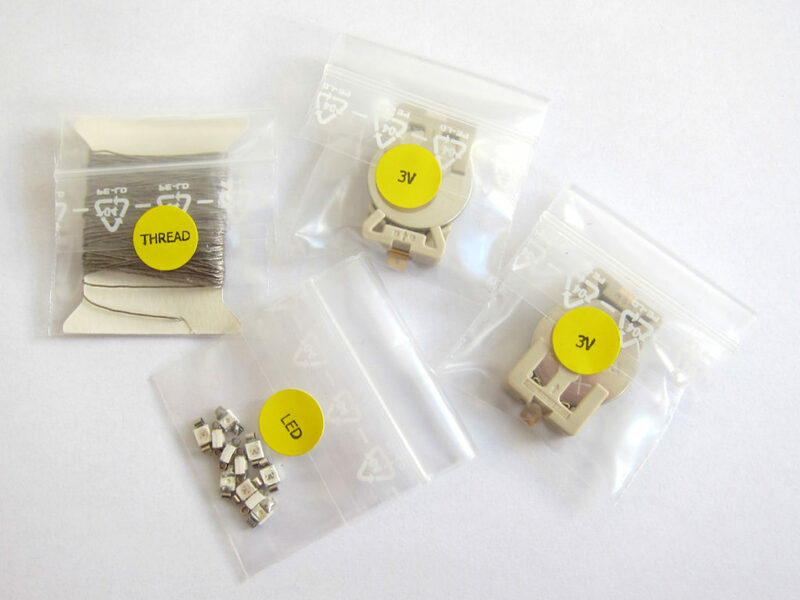 Needed are: SMD LEDs, crimp beads, conductive thread, coin cell and coin cell holders, gloves. Tools: a needle and a soldering iron. 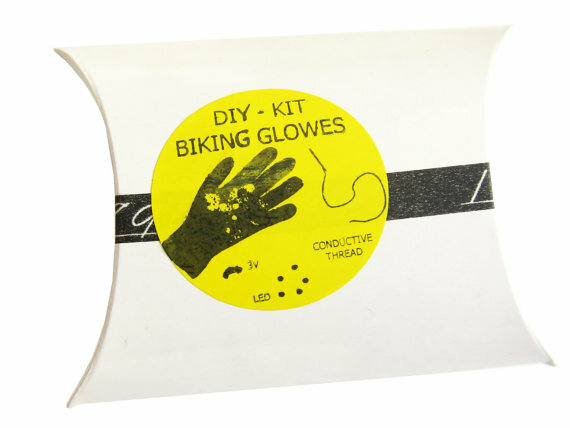 If you are making your own pair of Biking Glowes, I’m happy to hear your feedback!